Charge your cell phones, digital cameras, GPS systems & more anywhere, anytime! 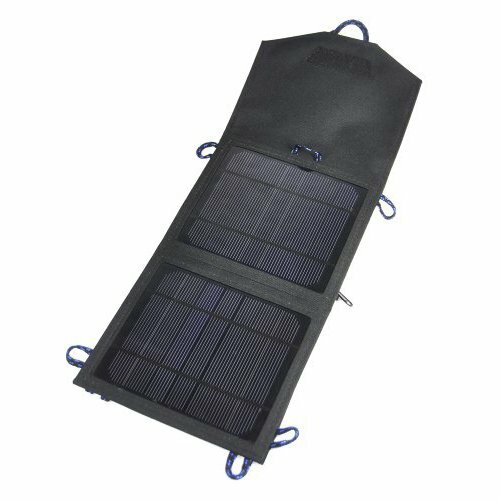 The Coleman 7.5 Watt Folding Solar Charger is a portable unit, perfect for traveling, hiking, camping, emergency power solutions and a variety of outdoor activities. With a lightweight and compact design, just place this unit in your backpack or suit case. Unfold the charger to charge your electrical device, and fold it up when your device is fully charged. This foldable solar unit provides for ultimate convenience, making it a permanent staple for all your traveling and outdoor needs. Charges cell phones, digital cameras, tablets, GPS systems and more!